Here's a sneak peek from my new collection of personalised greeting cards and invites. Cards can be designed for a whole number of special occasions: birth announcements, Christmas cards and party invites! 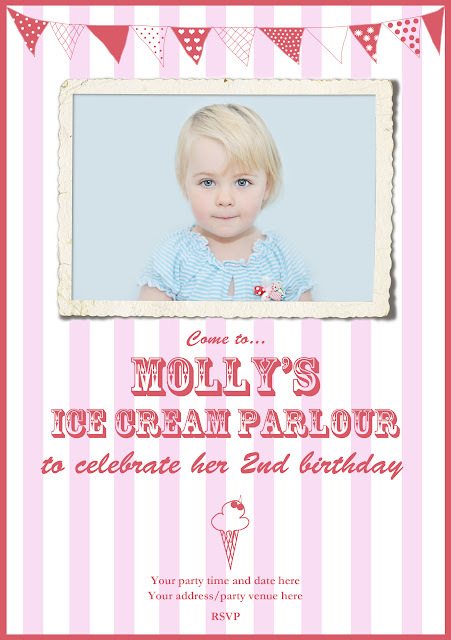 I think this ice cream parlour one would look delicious as a framed print too! Cards can be ordered after your session so you can include your favourite photograph - this is my current favourite of Molly. "Butter wouldn't melt" comes to mind!